The installation of the pilot plant in Torre Cardela has made it possible to put it into operation. It will be in the testing phase for an extended period of time to check that the process is working successfully and under biosafety conditions. The biological treatment plant arrived on Tuesday 19 February to Torre Cardela. 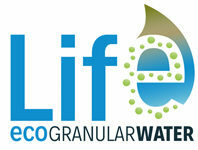 This innovative plant aims to demonstrate that the removal of nitrate and other pollutants present in raw water intended for human consumption can be done in more economic conditions and with less environmental impact than using other traditional systems such as reverse osmosis. This is an important milestone in the life of this LIFE project. The new plant is expected to remove pollutants by consuming less energy, not generating waste and producing good quality water. In addition, all the energy consumed by the new system will be of solar origin, thanks to the installation of photovoltaic panels. 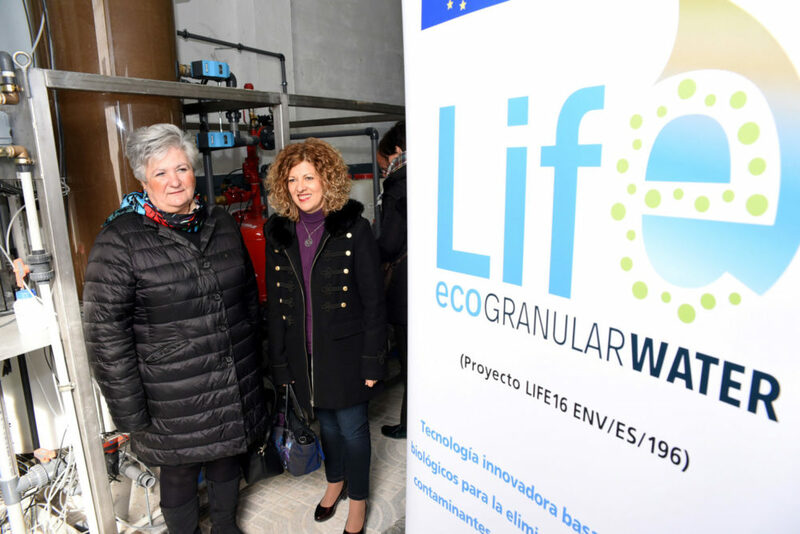 The LIFE ECOGRANULARWATER Project began in September 2017 and, throughout this time, it has been carried out preparatory and experimental work that has made it possible the construction of the pilot plant in the real scale. On the one hand, a sampled of the aquifer has confirmed the presence of nitrates in raw water, as well as the temporal variation of its concentration, linked to agricultural practices and meteorological conditions (mainly rainfall distribution). On the other hand, tests in the laboratory have been developed, which have defined the optimal operating conditions for the bioreactor (frequency of filling and emptying, settling time, aeration), have determined which is the best carbon source and its concentration as well as the microorganisms having the most outstanding results in the denitrification process. Likewise, regarding the phases of this system, the performance of the bioreactor in a laboratory scale and the specific conditions of the place where it will be installed, the plant has been designed in a real scale, including some variations with respect to the initial proposal. 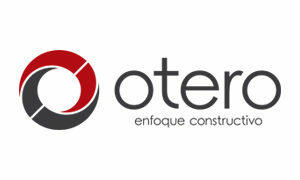 After reaching consensus on the plant design, Construcciones Otero Company started the acquisition of the necessary equipment. 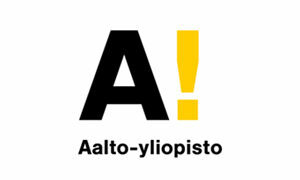 It was at the beginning of 2019 when the plant was built in the workshop of the company, where the first operational tests were also carried out, demonstrating the accurate functioning. Once installed in Torre Cardela, the immediate challenge is to set it in motion and achieve the formation of granules. These are small balls of approximately 2 cm and integrate the microorganisms that will carry out the denitrification and, therefore, the removal of nitrates from the water. The plant will be in the testing phase for a long time to check that the process is working successfully and under biosafety conditions. 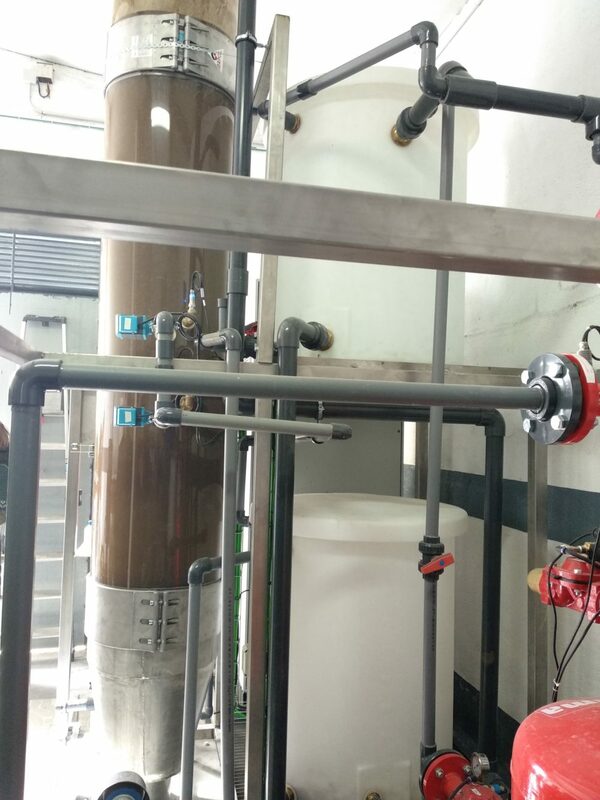 The monitoring actions include the quality water control, the study of the nitrate removal process, analysis of DBO5, analyse of total, suspended and volatile solids and organic compounds.